The 2019 Oregon Truffle Festival was a massive success! 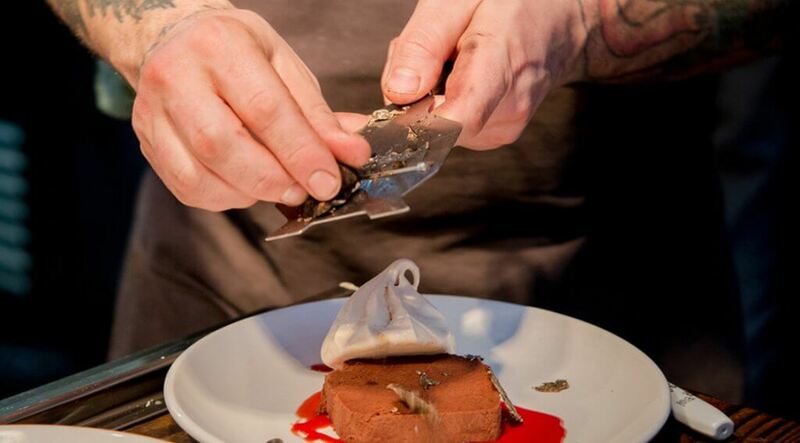 With visitors from across the country, the Oregon Truffle Festival continues to be one of the premier food festivals in the country—in fact, we were just voted one of the top 10 Best Specialty Food Festivals in the country by USA Today! Stay tuned for more information on the 2020 festival by signing up for our newsletter or follow us on Facebook, Instagram and Twitter for updates. Be the first to know about our events at the 2020 Oregon Truffle Festival by signing up for our newsletter! With four native Oregon truffles and the successful cultivation of prized European truffles in the Willamette Valley, the region is North America’s contribution to the short list of world-class wine and truffle regions. Join us in the Willamette Valley, the heart of Oregon wine and truffle country, this January and February. Our lineup of events will include hands-on truffle foraging, lectures from experts in truffle cultivation, decadent lunches and dinners from James Beard-recognized chefs, the only fresh truffle marketplace of its kind, and so much more! The full schedule will be released in the coming months, and you can be the first to know by signing up for our mailing list. Each year, the Oregon Truffle Festival kicks off the Eugene weekend in late January with The Joriad North American Truffle Dog Championship. This event is the only truffle hunting competition in the world, drawing truffle-hunting dogs and their trainers from across the country. After a public indoor preliminary, the best truffle hunters go head-to-head through Oregon forests in search of fresh Oregon black truffles. The event wraps up with an award presentation and the can’t-miss Parade of Dogs. 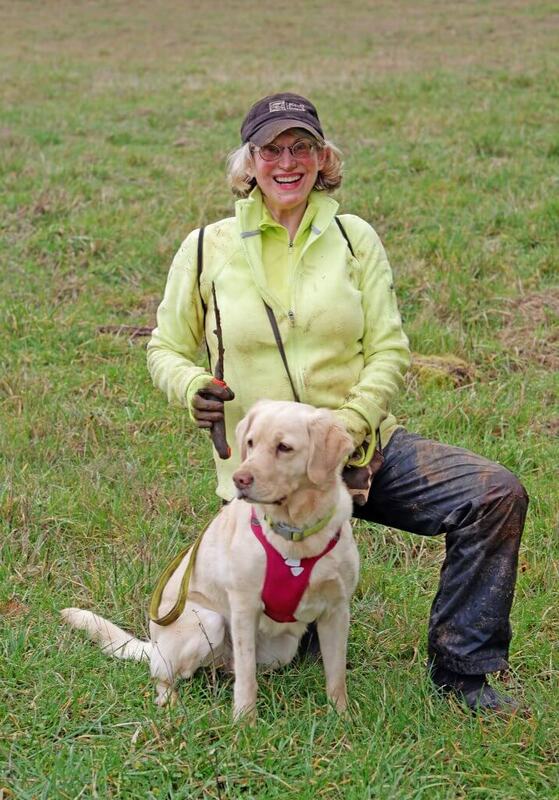 Sign up for our newsletter for the latest details about the 2020 Joriad North American Truffle Dog Championship. Following the Joriad, we begin the Eugene weekend, full of opportunities to experience the world of Oregon truffles. 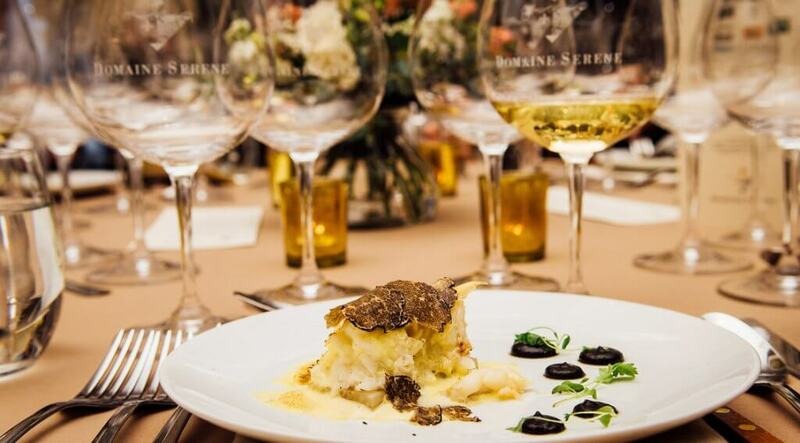 The Oregon Truffle Festival offers a variety of events this weekend, including exquisite truffle meals, learning opportunities for the entrepreneurial truffle grower, and an iconic Grand Truffle Dinner on Saturday evening. 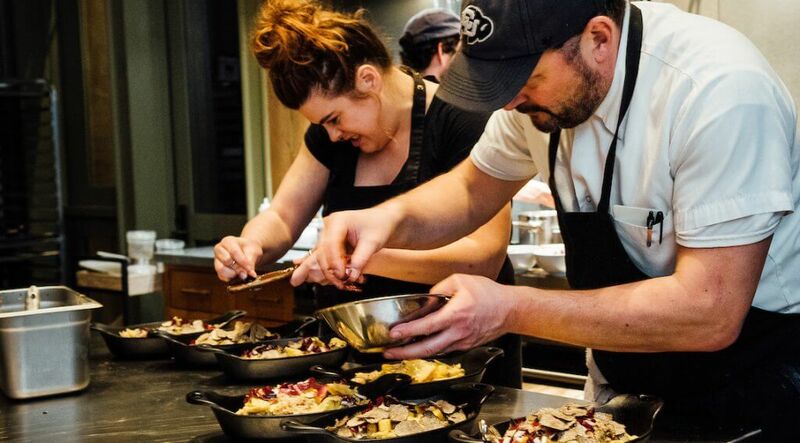 Every ticket package also includes access to the Oregon Fresh Truffle Marketplace, a unique event highlighting the burgeoning farm-to-table Oregon truffle industry. 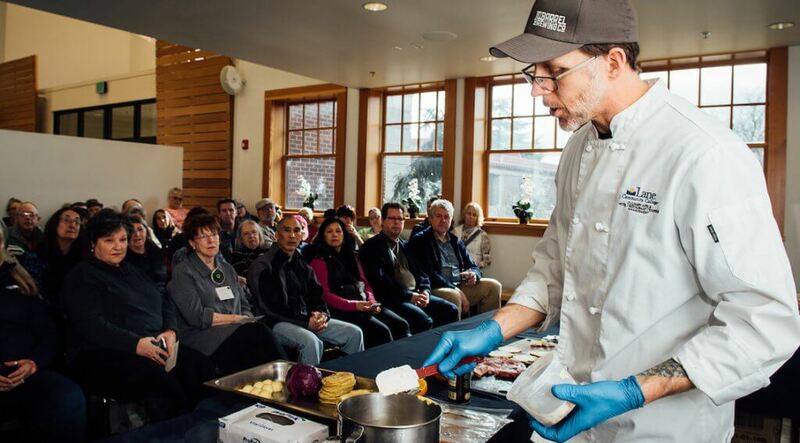 Cooking demonstrations, lectures, dog demonstrations and a chance to take Oregon truffles home all await you at the Oregon Fresh Truffle Marketplace. Our ticket packages are the best way to experience the Oregon Truffle Festival and sell out quickly. Get on our mailing list to know as soon as they go on sale! In February, the Oregon Truffle Festival heads to the north Willamette Valley, where truffles pair perfectly with some of the finest pinot noir and chardonnay in the country. The trifecta of James Beard Award-winning chefs, world-class wines, and Oregon’s truffle bounty is one that can’t be missed. Sign up for our mailing list for first access to tickets—these coveted events always sell out fast!